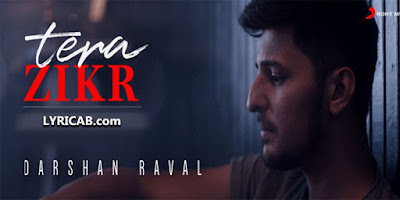 Tera Zikr song Lyrics, This is another beautiful and romantic song by Darshan Raval. This song is composed by Darshan Raval and lyrics written by AM Turaz. The song is really awesome, beautifuly directed by Abhishek Sinha.